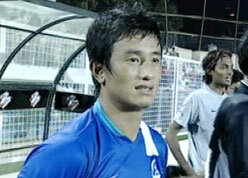 India wins ONGC Nehru Cup:Football dream comes true. India Football dream comes true. After three wins in twelve previous editions of the Nehru Cup, India with five wins in this tournament won the ONGC Nehru Cup . In the final of the 13th ONGC-Nehru Cup India scored a memorable 1-0 win over Syria by winning this tournament for the first time in the history. By winning this cup, india’s FIFA ranking went up considerably. Next post: India’s Firstsource acquired MedAssist of U.S.